For over a decade, we have been providing landscaping trees and plants to hundreds of clientele. That makes us feel pretty good! We pride ourselves on growing affordable, high quality trees and shrubs, that are state certified. Quality is important to us, whether you are picking out your own tree or purchasing it sight unseen, know that you are getting quality, fresh dug plants every time you order from up. With nursery brokers and big box stores, you are taking chances on the freshness and quality of plants that has been sitting on a truck or in a warehouse for who knows how long. With a grower, you are getting fresh trees and plants and the best possible prices, guaranteed. We welcome your business and will guarantee you high quality products at wholesale nursery grower prices delivered to your home, business, landscaping site or picked up at our farm. We pride ourselves on being the best in the business and love what we do. 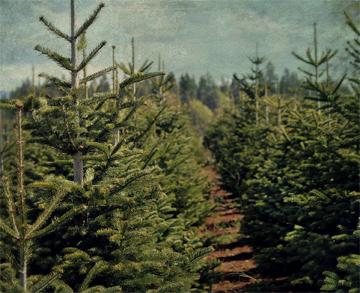 We guarantee each tree we plant and you can trust that when you buy trees from Jones Tree Farms you are receiving the best trees available. a long term relationship, and continuously provide ongoing service. • Our core values and business practices are directed by our Christian faith. • Honesty and truthfulness are foundational to our business. • We strive to enthusiastically share our love for Agriculture.